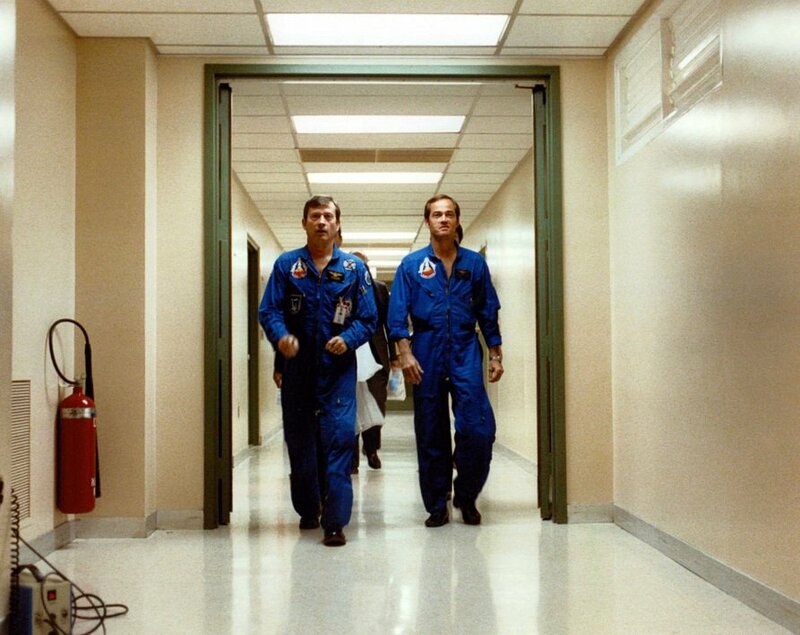 Commander John Young and pilot Bob Crippen do their pre-flight swagger-walk to breakfast, April 1981, prior to STS 1. 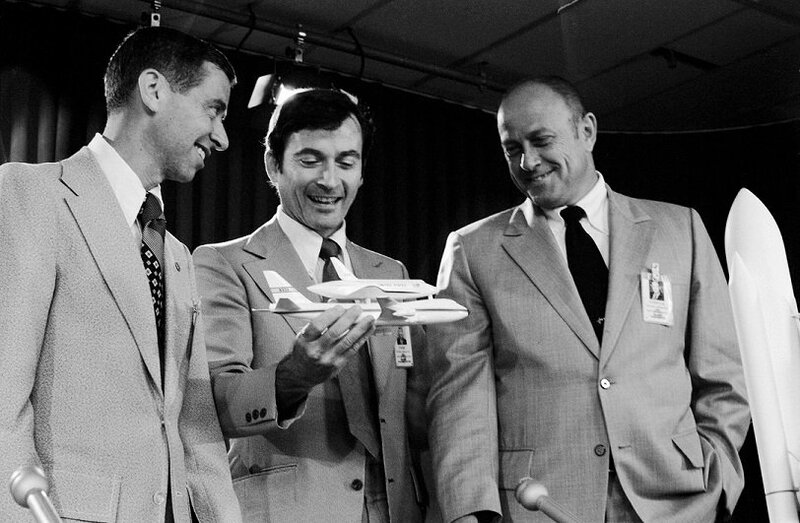 John Young, center, eyeballs a space shuttle prototype model, 1974. In seven years, he would command the first shuttle mission. Young returned to space in 1983 on STS 9/Spacelab 1. Many, many thanks to Retro Space Images on Facebook for these images.